Here I have few giveaways for this month . You can join these giveaways and try to win these . Today in this post I will share 4 Giveaways . A new free domain giveaway is organized by ALLDIGITTRICKS.COM . They are giving away free domains for three lucky winners . The winners will be announced at the end of this month . You have to do few easy tasks to win this giveaway . Join this giveaway by clicking here . Another new giveaway is Quantum QHM350 Cooling Pad . it is a good giveaway and you vcan win this giveaway by liking , tweeting and sharing your links to get more entries. Join this giveaway by clicking here . 1 . 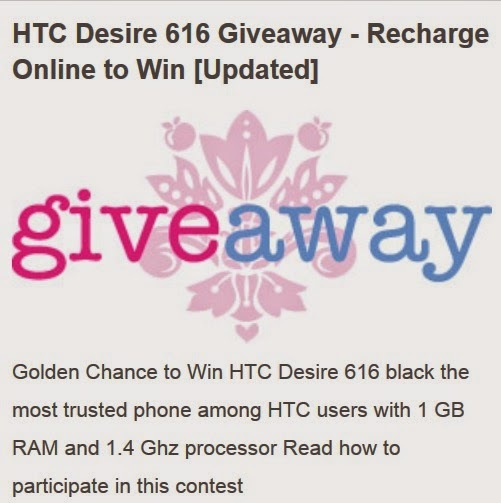 First is the HTC Desire 616 Giveaway . You can win this amazing phone just by making a recharge . It has many great features like 1 GB RAM and 1.4 Ghz processor . This is organized by my friend Suprabhat on his blog . Visit this link to join it . WANT TO MAKE SOME MONEY ONLINE FOR FREE ? Next few I have domain and hosting Giveaways see below for details. 2. Second I have a free domain giveaway by PSnama . you can get the domain trickhall.com for free . 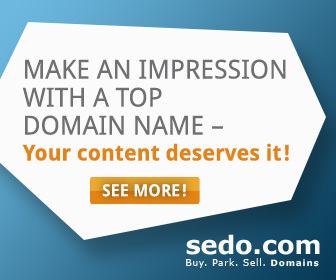 it is a nice domain and you can get it with 1 year validity . To get more details and join this giveaway visit this link . 3. Win VPS hosting along with a .com domain for 1 year worth $100 . This is a great giveaway and getting domain and hosting that costs $100 is not a small thing . You can join this Giveaway here . GET SPECIAL OFFERS AND DISCOUNTS FOR BLOGGERS . CLICK HERE TO GET THEM .